“It’s not that I don’t believe you, but…” his voice trailed off as her fingers uncurled again, one by one, and she nodded towards her hand. He gave her a little smile and looked back down. The shadow was hiding under the last finger still moving, and then, he watched, fascinated, as her hand flattened out and the shadow started moving, so subtle at first that he wasn’t entirely sure he wasn’t seeing things. Then it moved more, and he couldn’t help but stare as the shadow curled around in on itself and became a puff of smoke cashing lazy circles around her palm. He looked back up at her, stunned. “Whether you do or don’t is not the point. That,” she nodded towards her still-cupped hands, “is nothing. A shadow. A wisp of smoke. Enough you could write off as an hallucination. It’s your choice what you make of what you have seen.” His gaze slid from her face down to her hands as he watched her fingers rise, one but one, before they fell again, in the same pattern. “I told you I was more than you dared imagine,” she said, feigning disinterest as she watched him reach out a finger to pet it. He’d almost made contact when her voice shattered the silence between them. 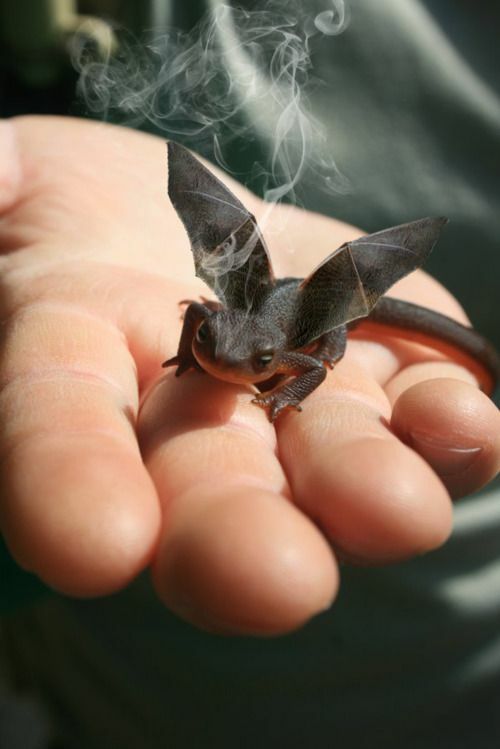 “I wouldn’t do that, if I were you.” The dragon, unblinking as the stray finger came closer, suddenly closed it’s eyes as it whirled, it’s tail curling around his finger and gripping it painfully tight. The dragon whirled around, still with it’s tail around his finger, and sank it’s teeth into the soft flesh of his hands, refusing to let go as he yelped. She stroked the dragons back, before tickling under it’s chin to make it release. “Never underestimate me. Never distrust me. Otherwise, you can leave now” He stared at her, cradling his injured hand, before glancing briefly at the door, and turning back.